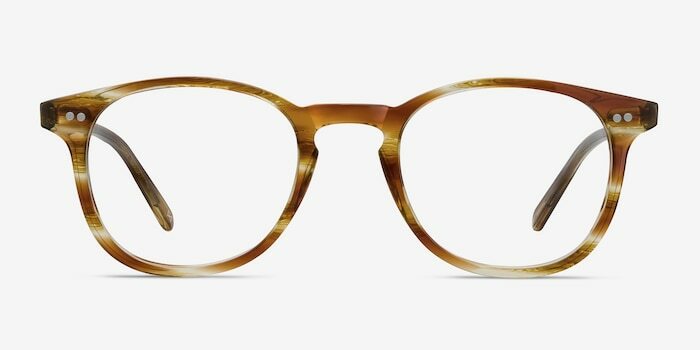 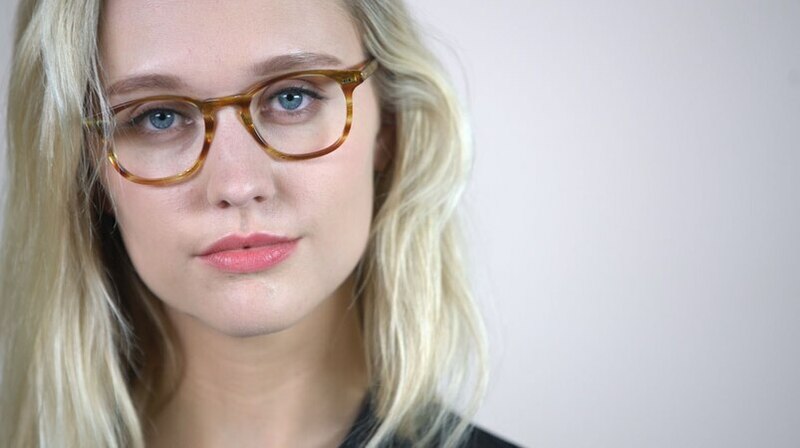 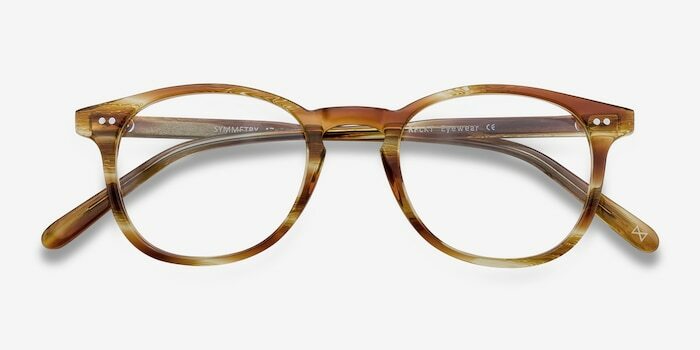 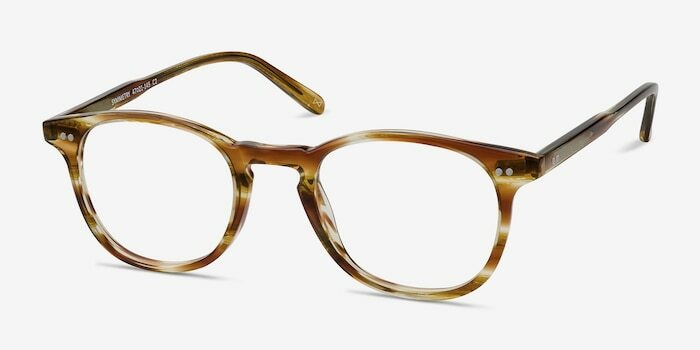 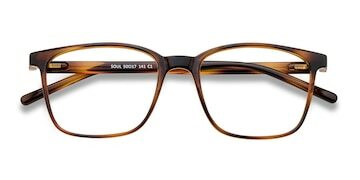 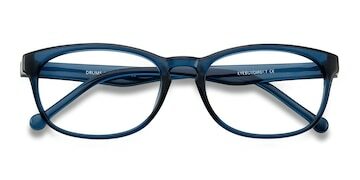 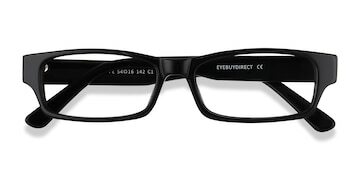 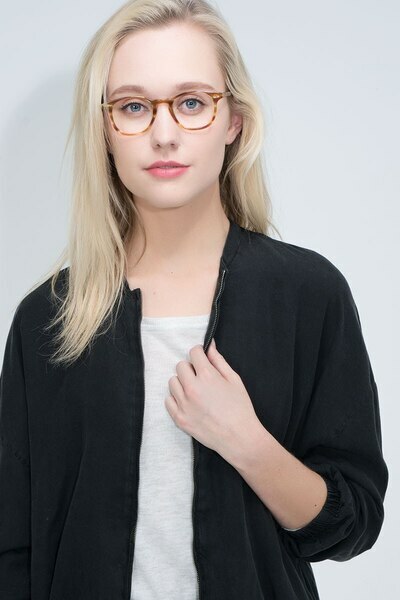 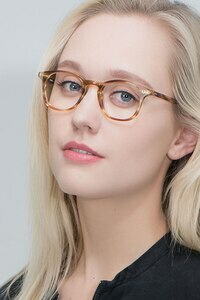 A timeless square design with soft corners offset by sharp edges make theses eyeglasses the epitome of perfectly balanced design. 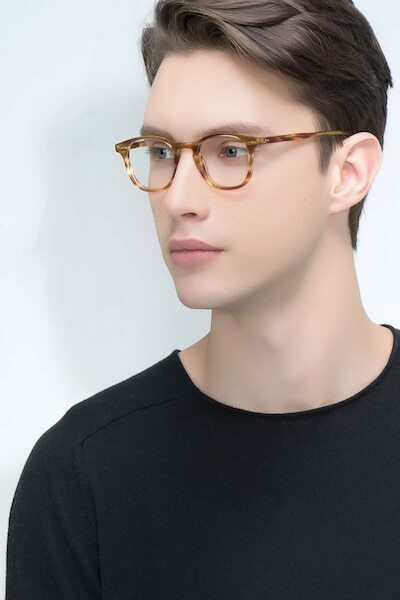 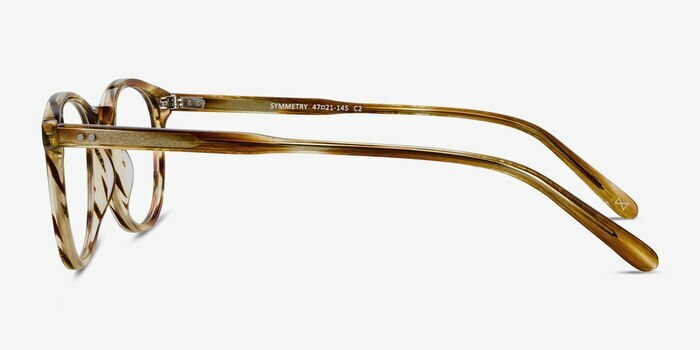 Symmetry in striped caramel features a premium acetate with a striated clear and translucent brown pattern. Double accent studs and a subtle keyhole nose bridge complete this look.